Sand washing and dewatering machine is often used in wet sand production line, which combines the functions of sand washing machine and dewatering screen. It solved the problem that washed sand is too wet, large mud content, much dust and impurities. And is a new type of environmentally friendly sand washing equipment. The work style of this series sand washer is rotary and movable. The bucket is driven by motor through reducer and rotates in circle. There are many sand storage web grooves in grille form. When the bucket moves, sand can be put out by storage web groove after being cleaned, waste water outflows through web groove’s holes. Meanwhile the washed sand will be fed into PU screen directly for dewatering. 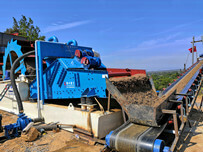 In the process of sand washer is running, sand is discharged through the feeding groove. 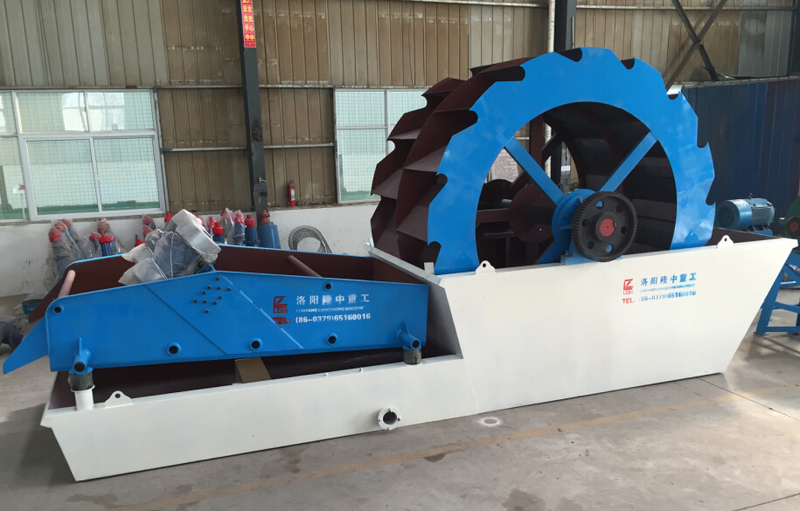 Sand washer can circumrotate and discharge sand periodically by motor’s continuously running, which can realize the batch production. It works the same as XSD sand washing machine. After vibrating and dehydrating on the PU screen, dry sand is the final product. 1. Sand washing machine manufacturers combined the washing machine and dewatering screen, which increased the technical content of equipment and adapt to the development needs of social productivity. 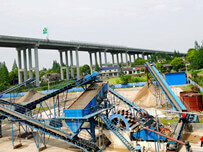 And the inadequacies of dewatering screen and sand washing machine are largely avoided. 2. 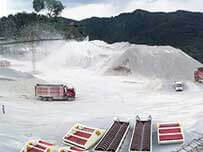 The content of mud, water, dust, impurities in the sand is greatly reduced, so the quality of the sand is improved. And the production efficiency is high, which increases the customer’s revenue. 3. 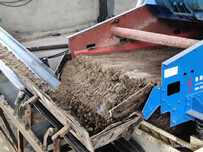 Washed sand falls onto the dewatering sieve for dewatering, a large amount of water in the sand can be removed. 4. Reducing the waste of natural resources, and the pollution of sewage to the environment. The equipment is in line with the construction of resource-saving and environment-friendly social needs. 5. Installation is simple. The device only needs to be powered on before it can be used, which saves production costs.